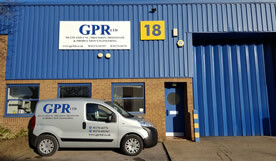 GPR Ltd prides itself in producing high quality machined parts to client's drawings and specifications at competitive prices and schedules to meet the tight budgetary demands and time constraints of its customers. 90% of GPR's accumulating client base is from existing satisfied customer recommendations. Serving clients in and around Hampshire, we specialise in the manufacture of prototype, small batch and production quantity precision-engineered components, utilising the latest state of the art CNC machinery manned by a highly skilled workforce team. We currently supply MOD, Aerospace, Military, Medical, Nano-technology, telecommunication and other smaller OEM industries.